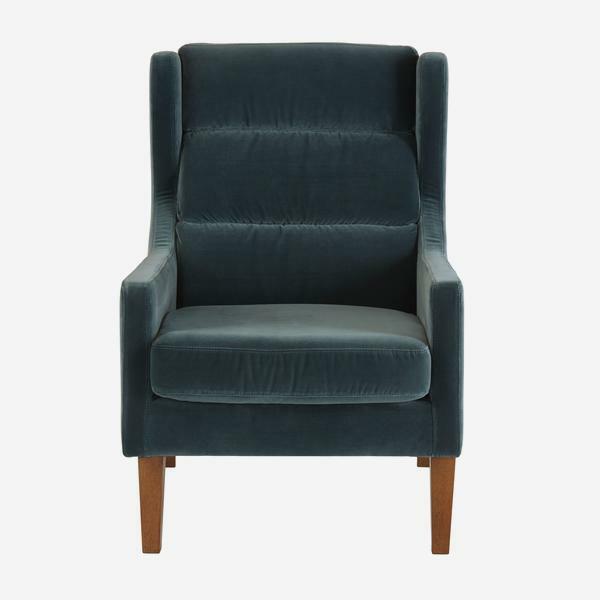 Halston is a cool throwback to 60s style with the added bonus of being seriously comfortable. 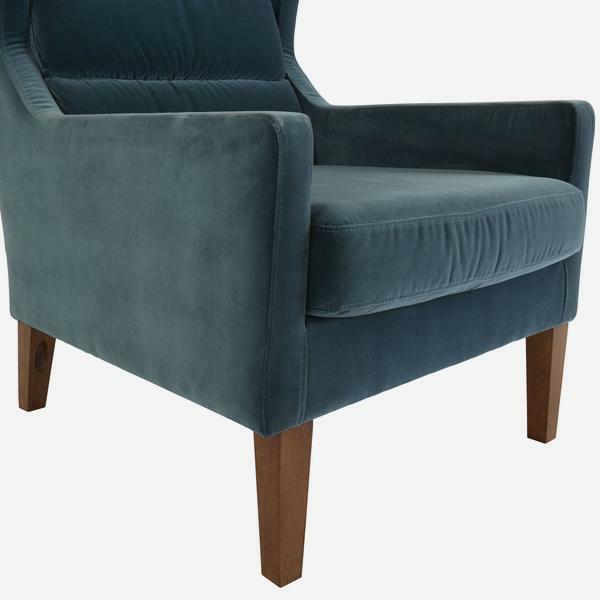 Standing on straight wooden legs and in petrol blue, the slightly winged sides are reminiscent of flared trousers. 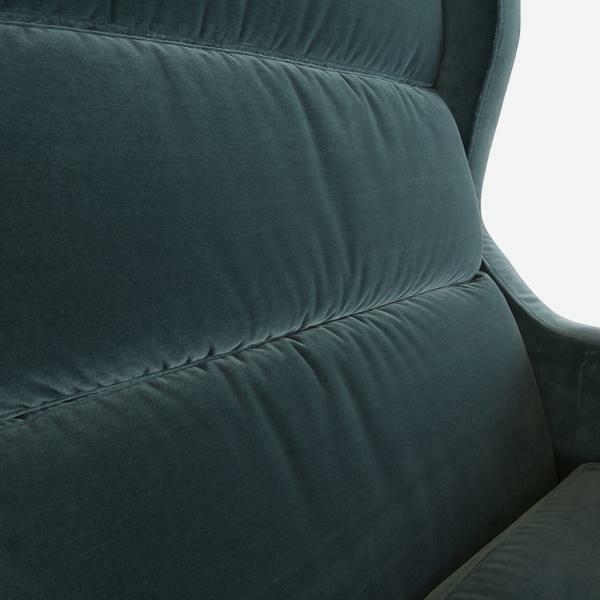 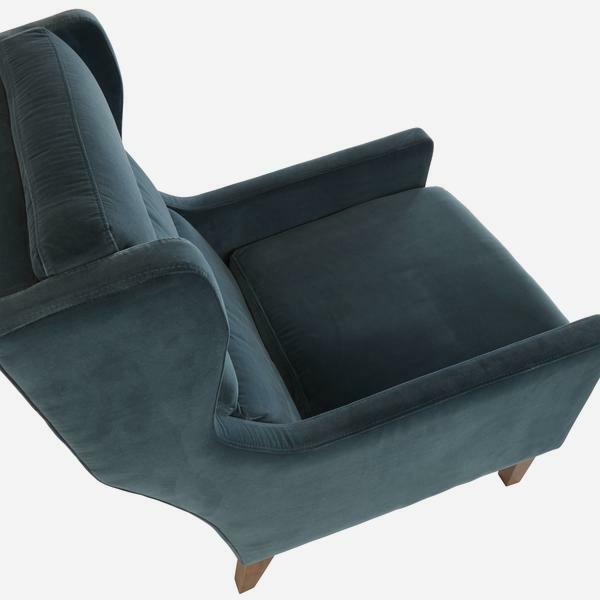 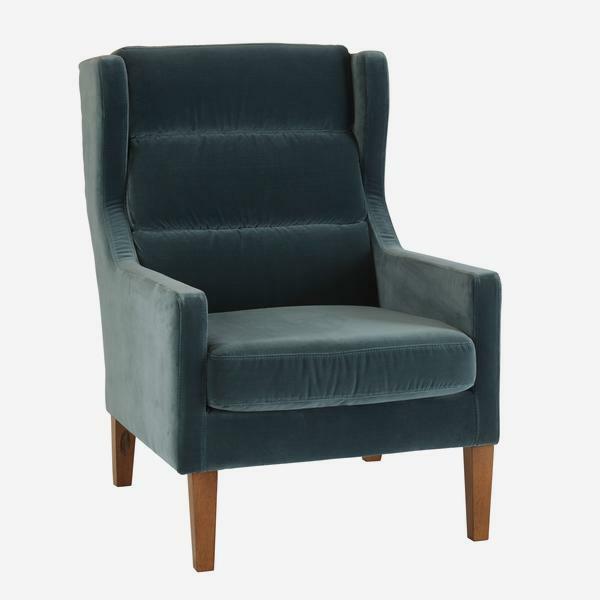 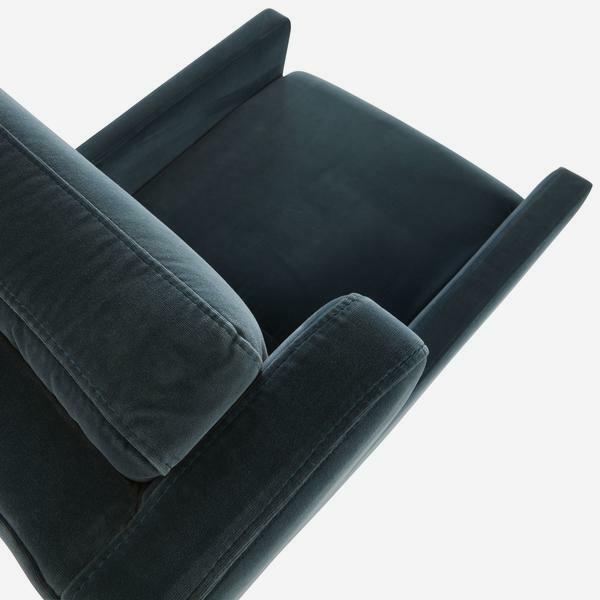 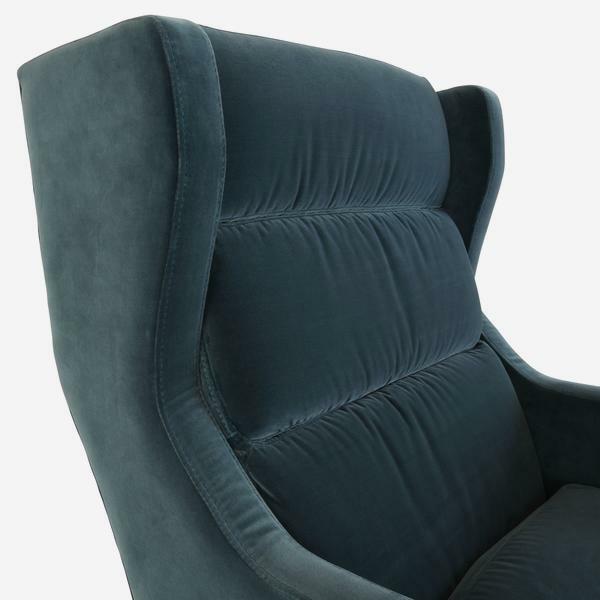 It is upholstered in soft velvet and has cushion panels which shape to the curve of your back, so you can adopt an aptly casual position, sink in and relax.